MR Poovamma of Karnataka (53.15 seconds) and Sarita Ben of Gujarat (53.23 seconds) on Monday, reports stated. Hima had taken a break of six weeks and had gone back to her village in Dhing to appear for her higher secondary examinations. Now, she is back to set the track on fire once again and has proved it in the Federation Cup held at Patiala in Punjab. In the 3rd India Grand Prix held on March 8 last – the first race of the year – Hima had occupied the fourth place. 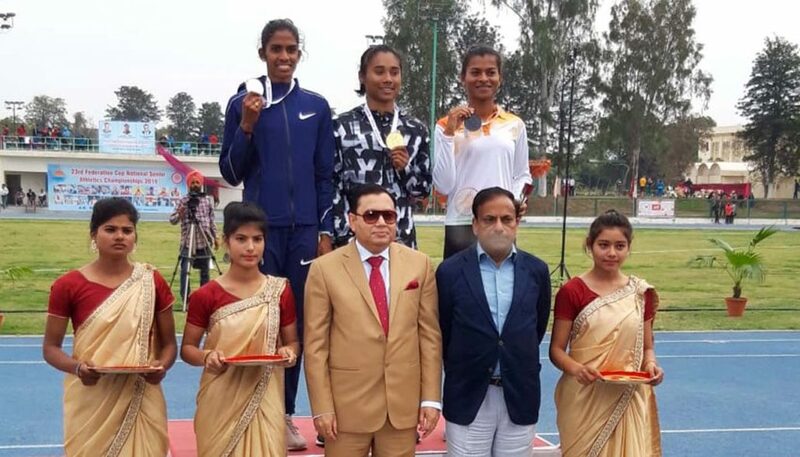 In the Federation Cup too, Hima was lagging behind – she scored 54.45 in the heats and then improved to 53.40 in the semi-final and yet remained in the fourth position when she took the position for the final round. She regained her form in the final round like a true ‘Track Queen’ and left her rival MR Poovamma one and half-stride behind. Hima is now putting all her eggs in one basket – the Asian Athletics Championship to be held at Doha from April 26 next. With today’s feat, Hima has qualified for the Doha event. Hima’s coach Galina Bukharina says that if she “keeps her focus on” she will definitely be able to “slice away some microseconds from her best and she will also have to pull out all stops to qualify for the Tokyo 2020 Olympics”. Hima has strong competition in the form of Dutee Chand, silver medalist in the 100 m and 200 m in the Asian Games. She will give Hima a run for her money in the 200 m.
Hima has many a plumes to her beret – she presently holds the Indian national record in 400 metres with timing of 50.79 seconds that she clocked at the 2018 Asian Games in Jakarta, Indonesia. She is also the first Indian athlete to win a gold medal in a track event at the IAAF World U-20 Championships held at Tampere in Finland.